Copy of all I-20s issued from any schools you previously attended in the U.S.
Placement: To determine the English level of each new student, IEC offers a placement test during orientation. Students are tested on their reading, writing, speaking, listening, and grammar abilities in English. Unfortunately IEC does not offer courses for true beginners of English language learning. Prospective IEC students should have basic spelling skills, be able to write sentences, and be able to read and understand simple paragraphs. While students without these skills can still attend IEC, they should be prepared to hire a personal tutor and repeat the foundation level class until these skills are mastered. Students who do not have proof of English proficiency may receive conditional admission to OCC degree or certificate programs. GEC admissions will review both the IEC@OCC application and the OCC International Student Application. If the applicant is a high school graduate or 18 years of age and meets the academic requirements for admission to OCC degree or certificate programs, a "Letter of Conditional Admission" will be issued. The student will be fully admitted to the OCC degree or certificate program once the English language proficiency requirement has been met. This condition may be met by completing Advanced B, the highest level of English at IEC. In this case, the Advanced B level will be accepted in lieu other acceptable methods of English proficiency demonstration. A student who is not eligible for conditional admission will be notified and have the option to attend IEC@OCC without conditional admission to OCC degree or certificate programs. 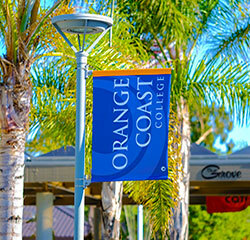 Click here to learn more about applying to OCC. Copy of all I‐20’s issued from any schools you previously attended in the U.S.